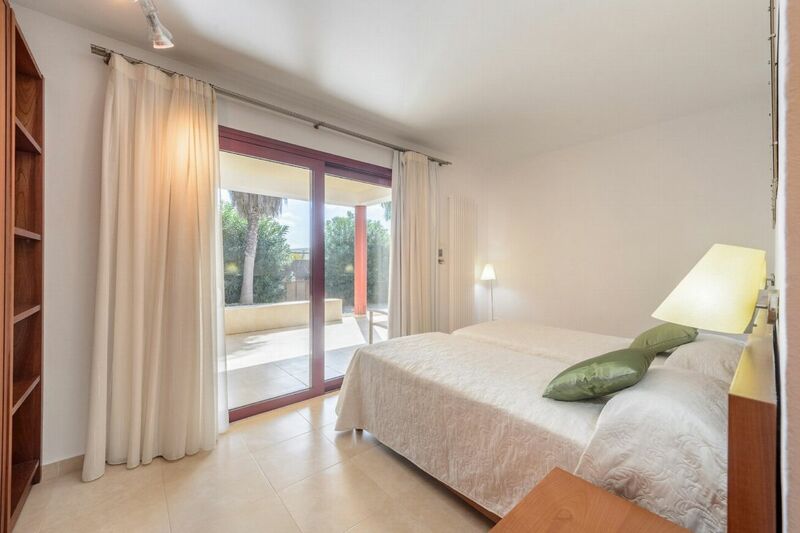 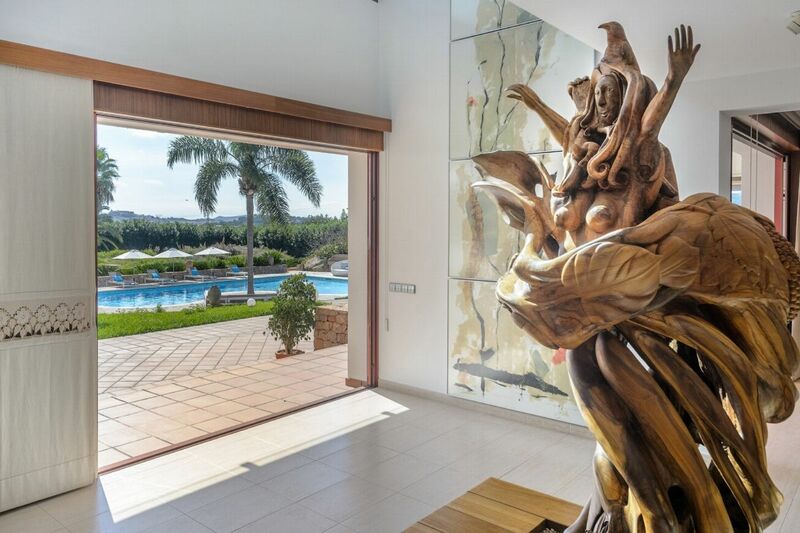 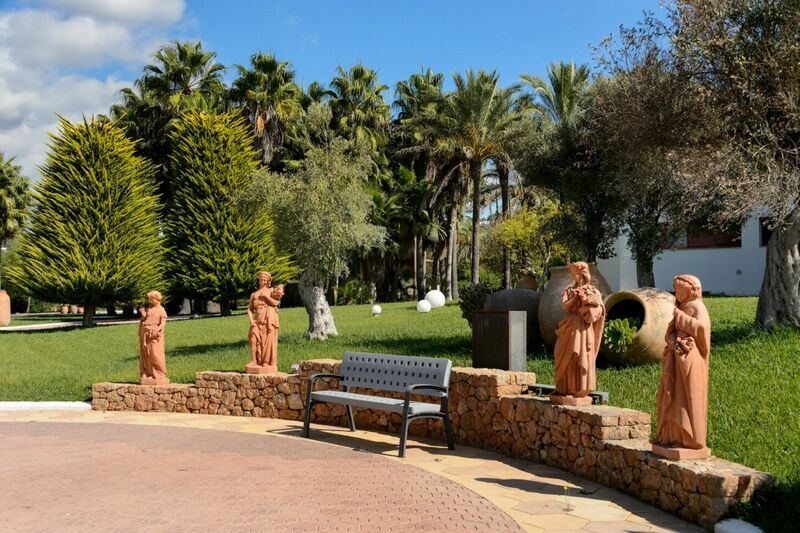 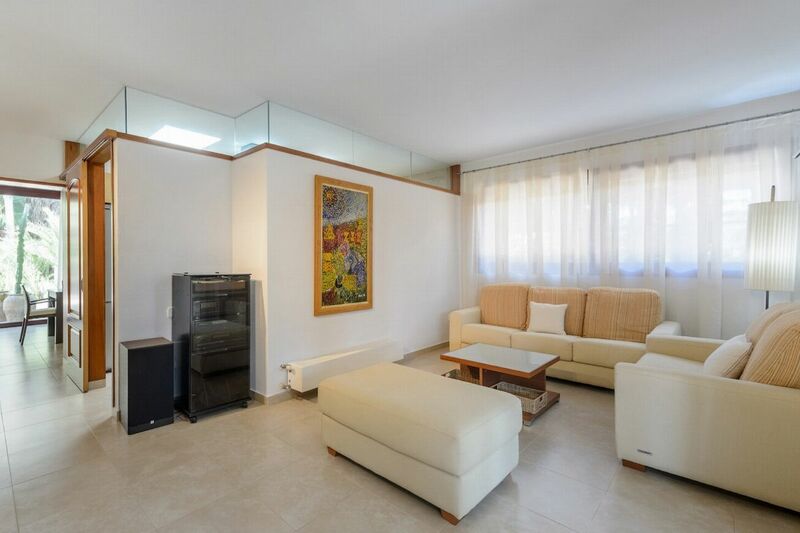 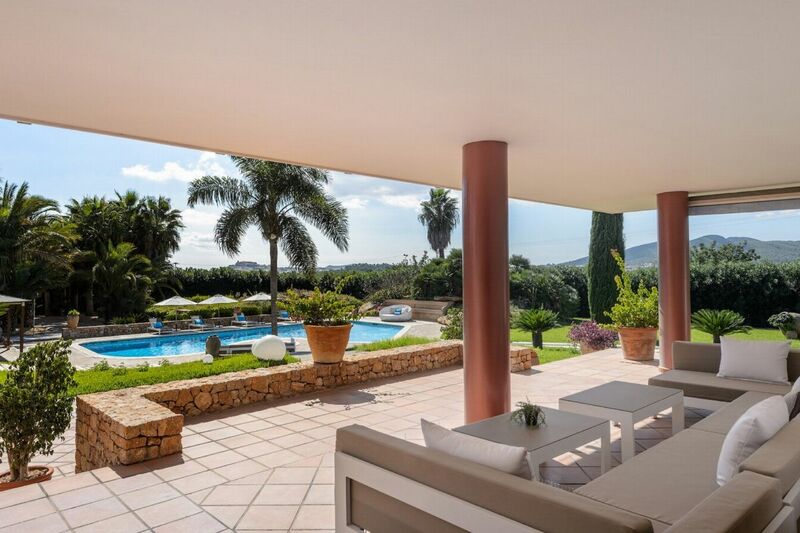 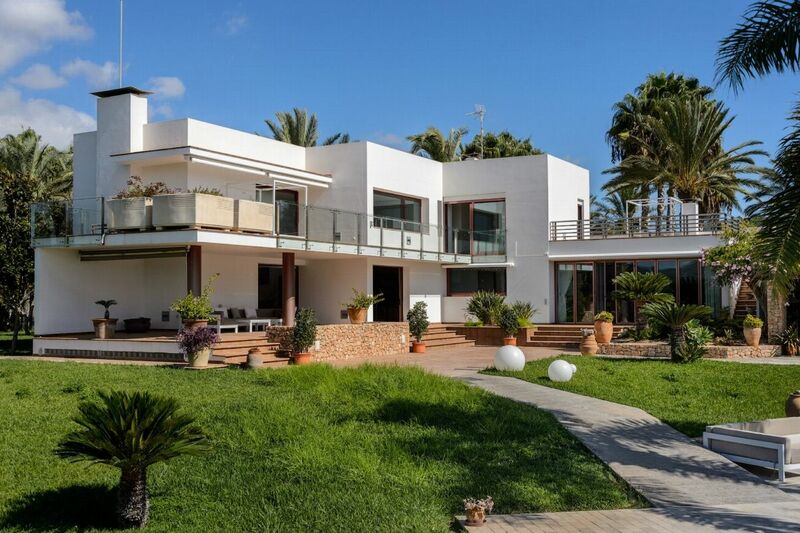 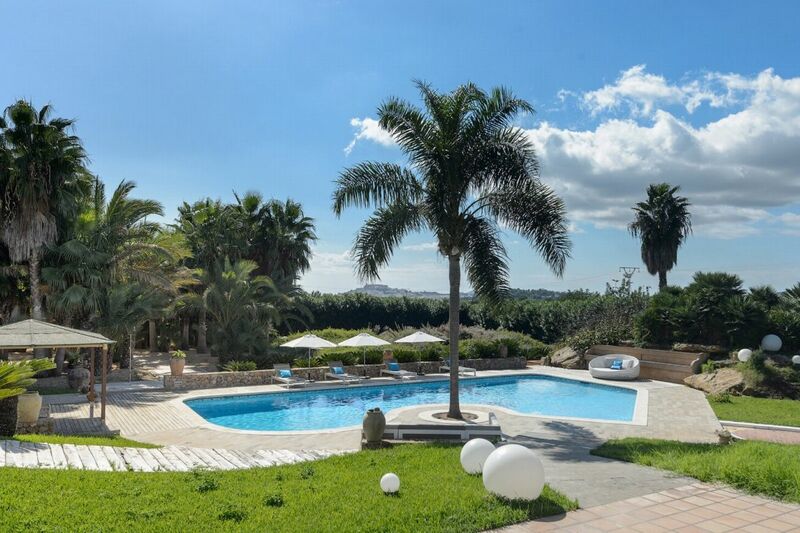 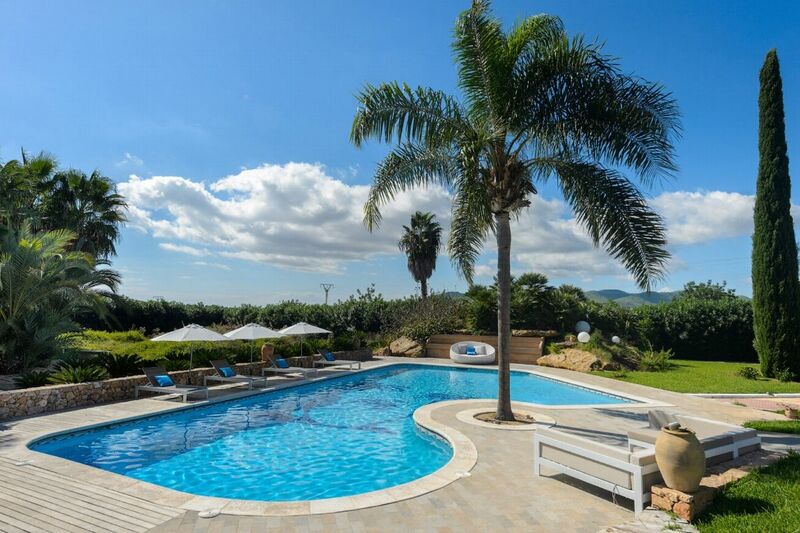 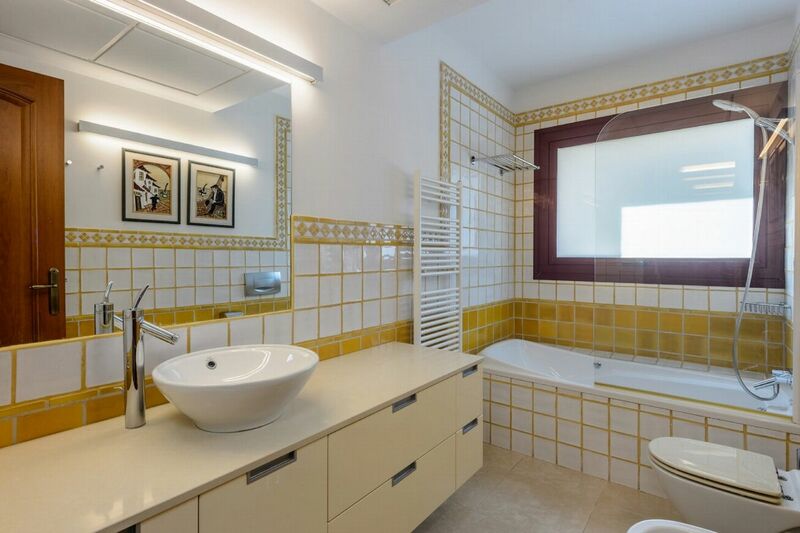 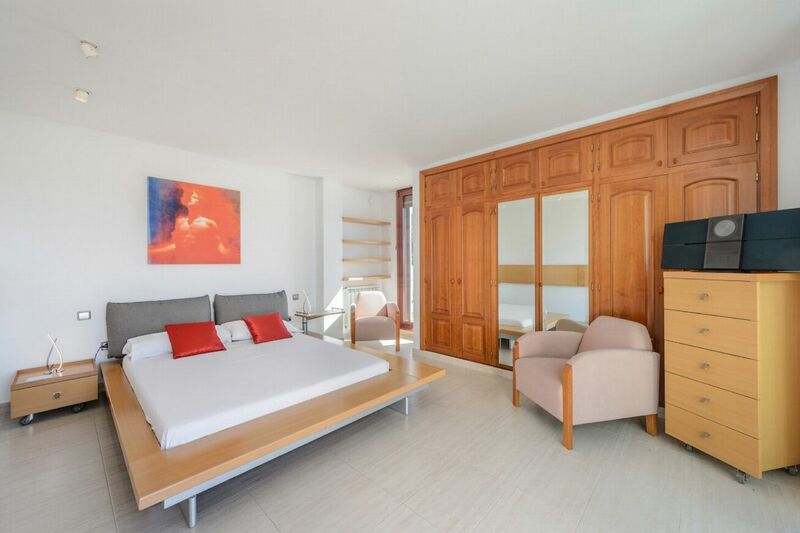 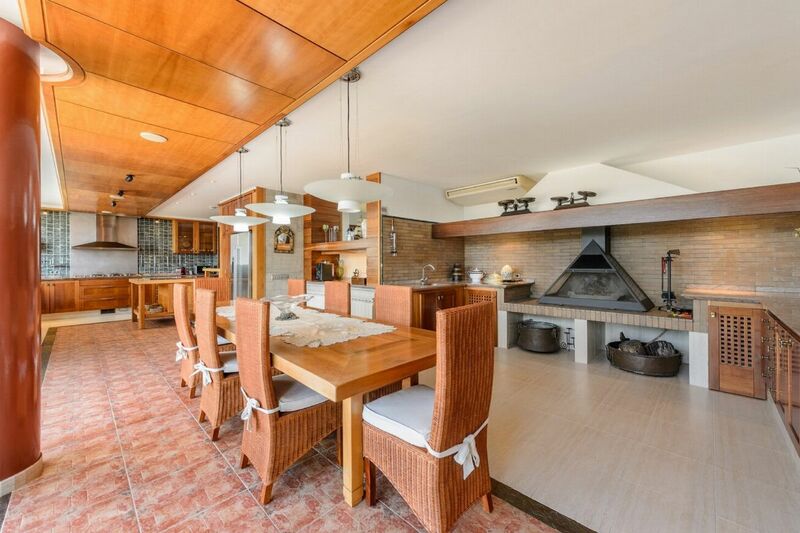 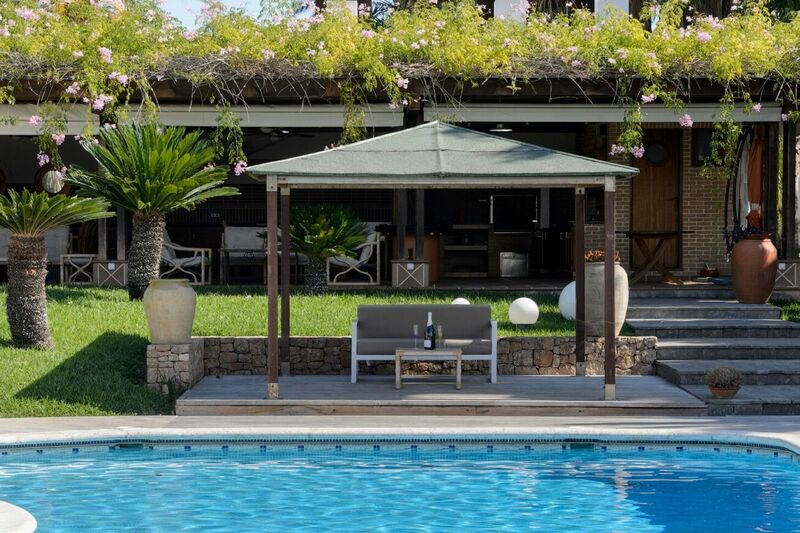 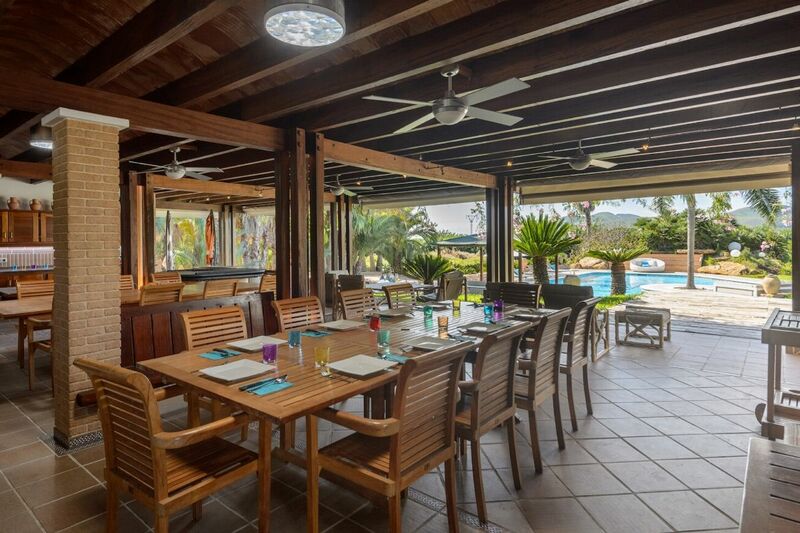 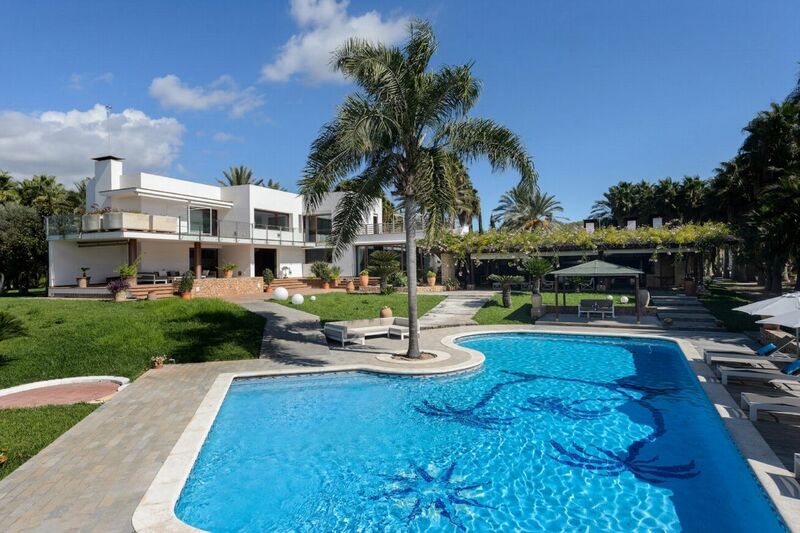 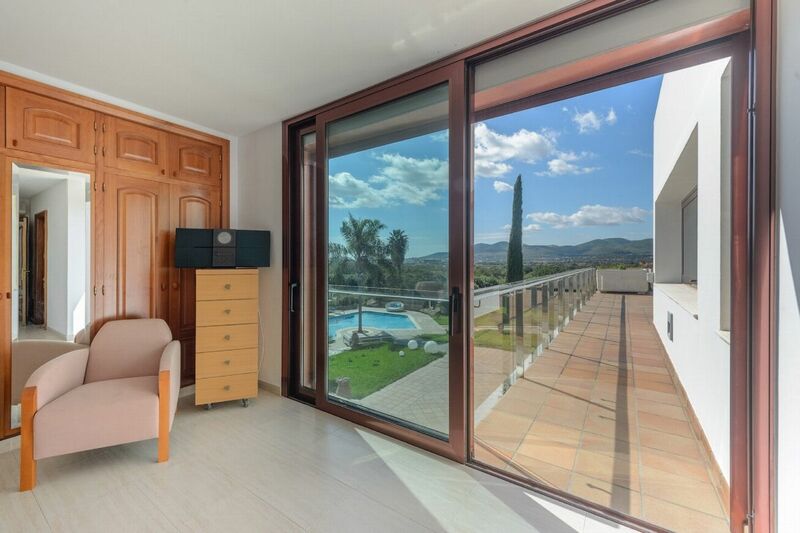 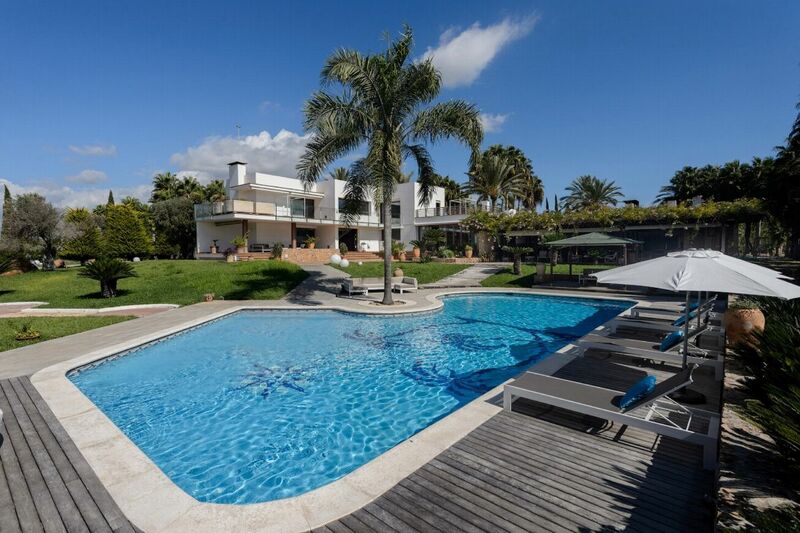 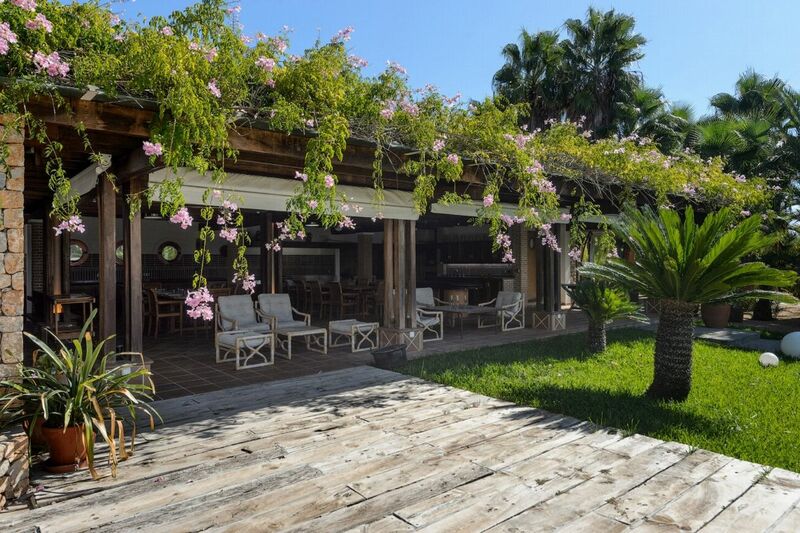 This luxury villa is in a quiet residential area perfectly located at only 2 km from the centre of Ibiza town and the beautiful Talamanca beach. 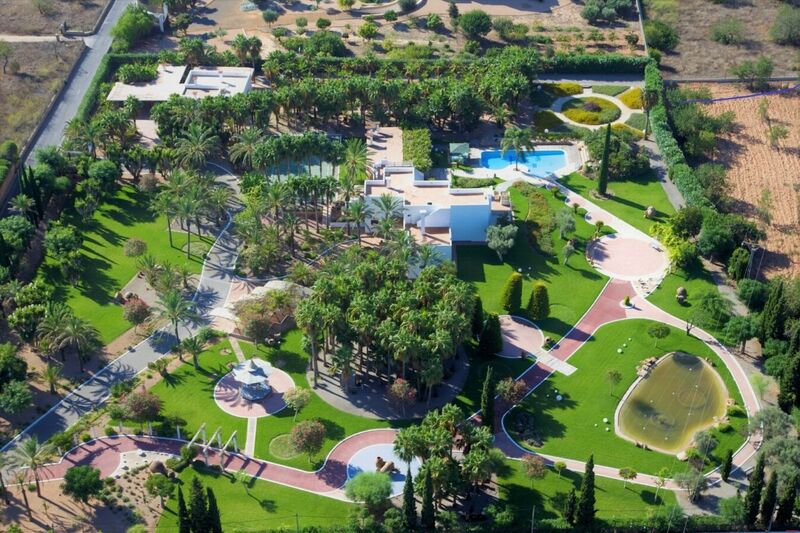 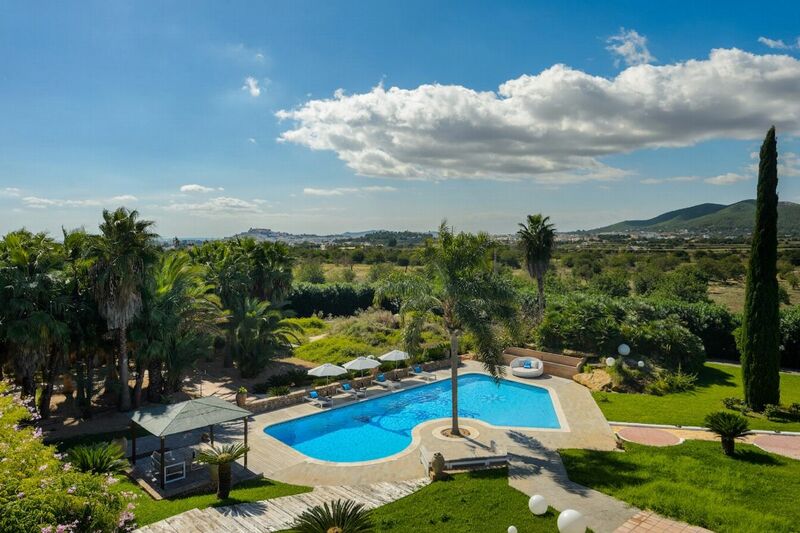 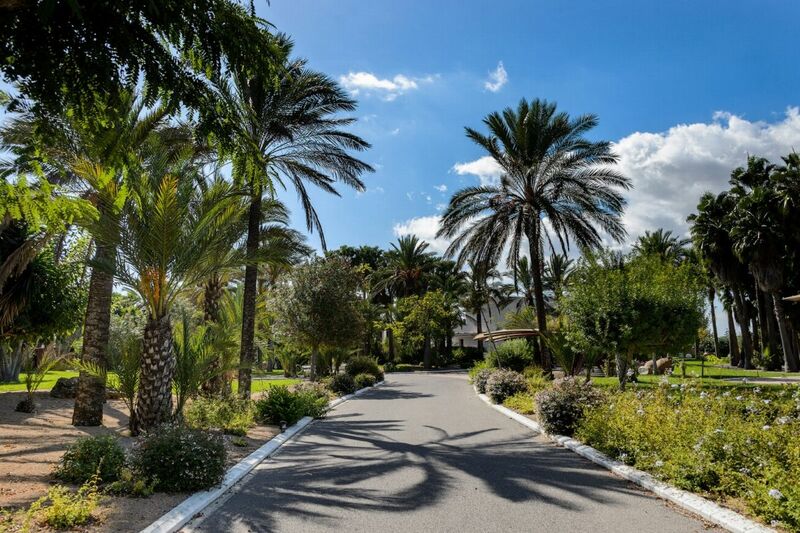 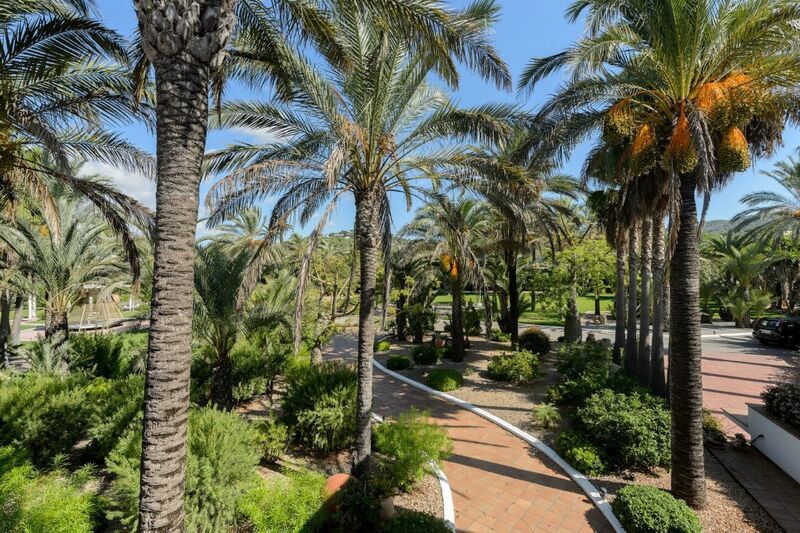 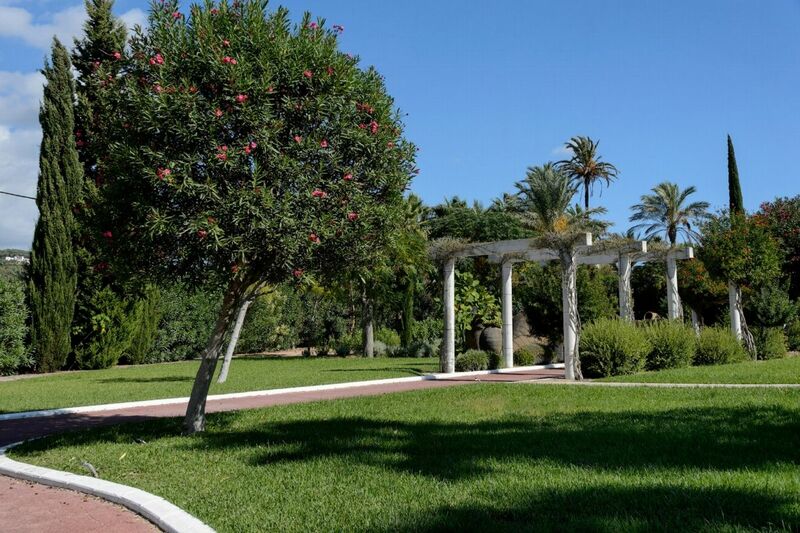 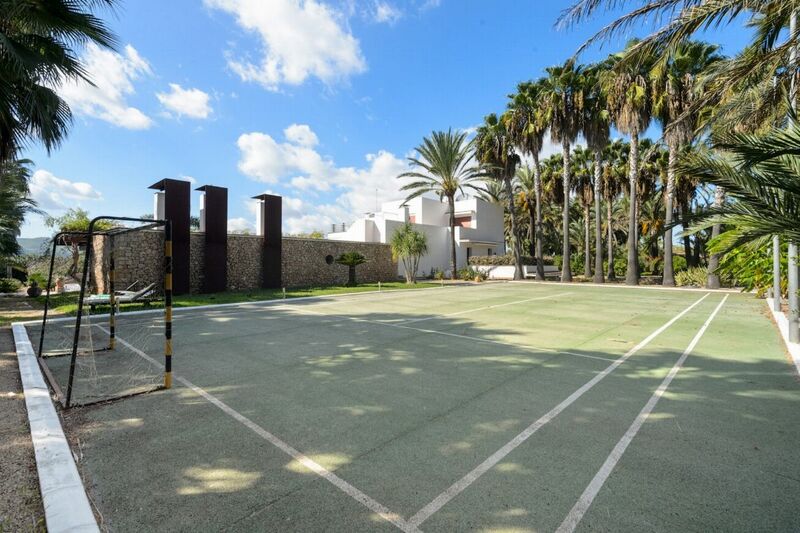 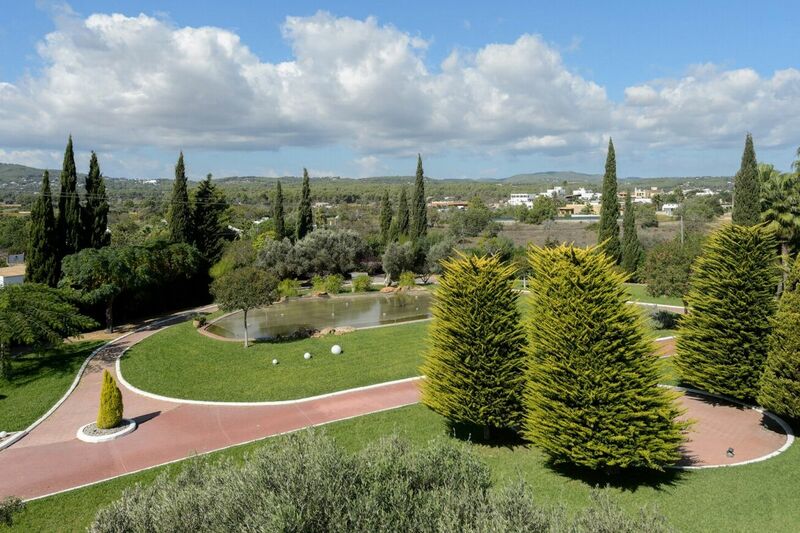 This 180,000 m2 gorgeous private plot boasts a large swimming pool, an amazing Mediterranean garden with a pond, a sports court and 1,000 m2 of constructed area (main villa of 550 m2 with a 340 m2 basement and the 85 m2 annex), plenty of space to enjoy your special Ibicencan stay. 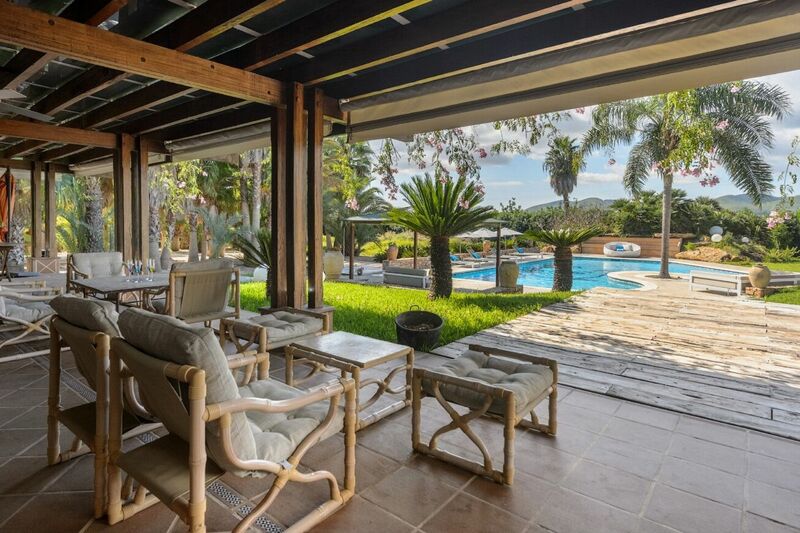 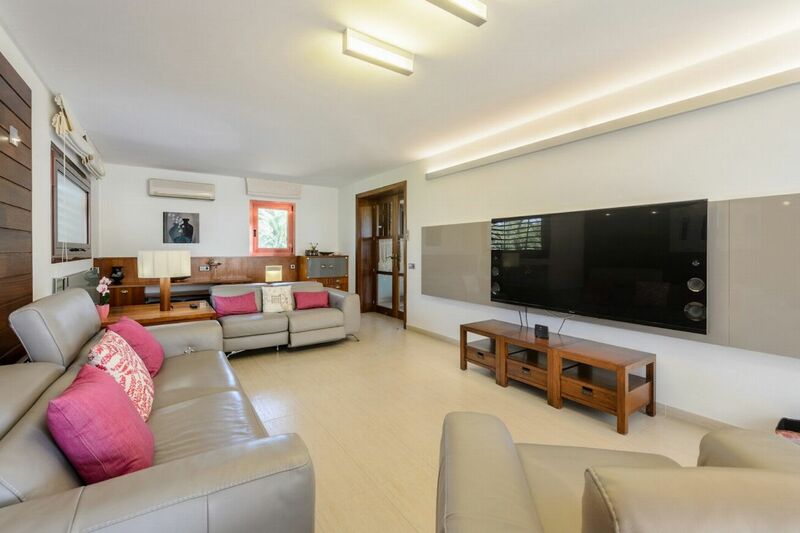 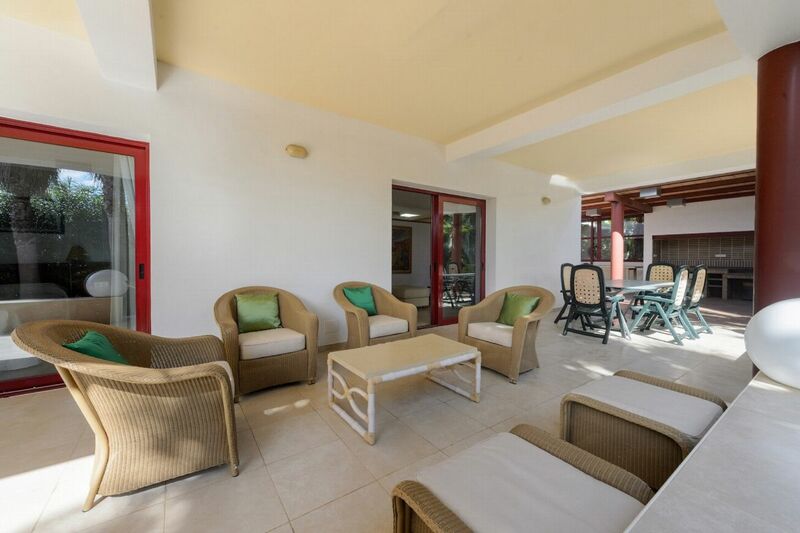 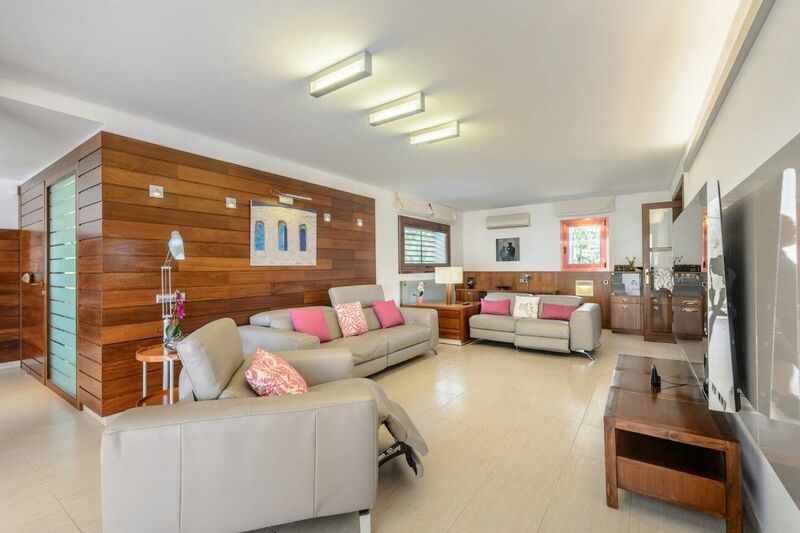 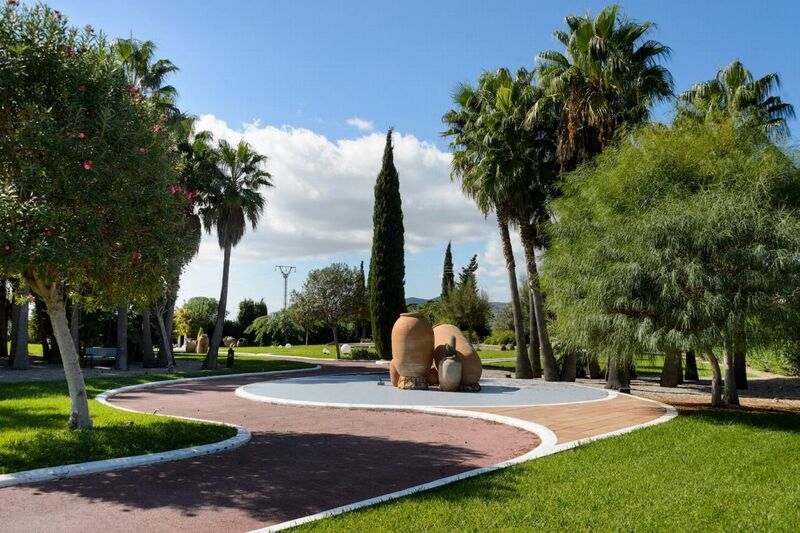 OUTDOOR AREAS Outdoors, you can enjoy the enormous very well maintained private gardens with sunny and shady areas, an inviting large swimming pool (approx. 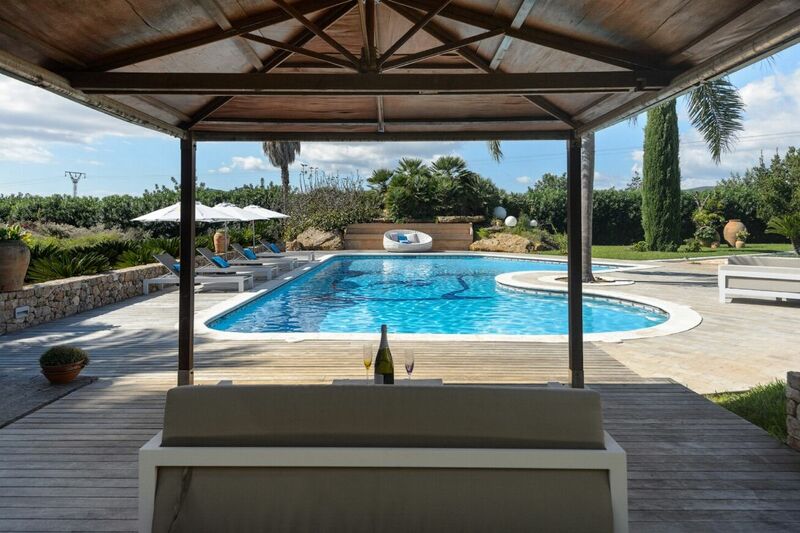 14m x 5m) surrounded by sun beds, sunshades and lounge areas to relax. 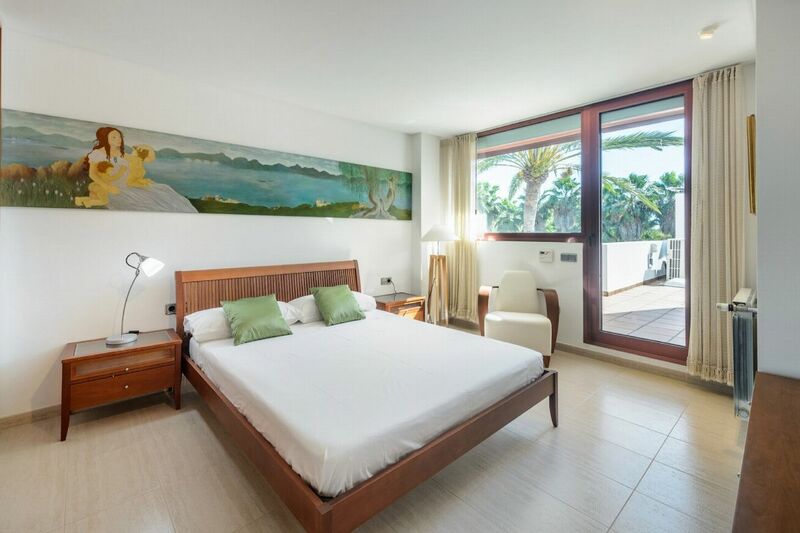 You can also relax and unwind on the "chillout beds" which have been strategically placed to enjoy the views in complete harmony with nature. 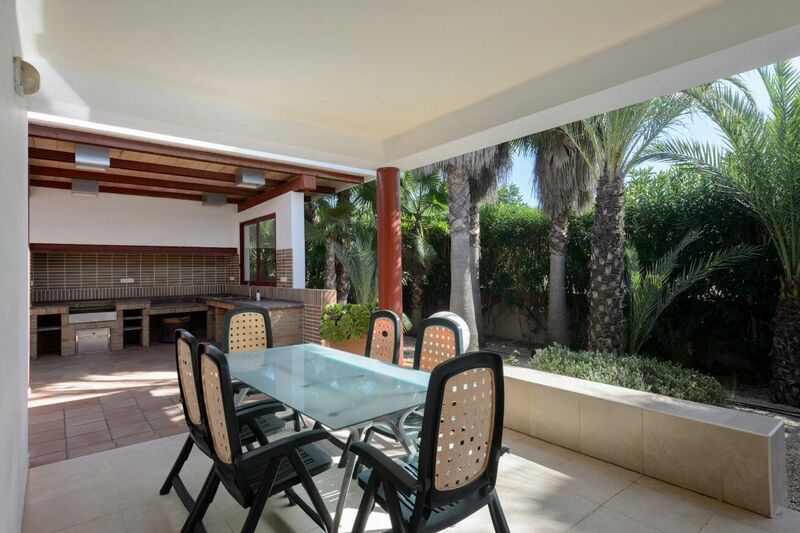 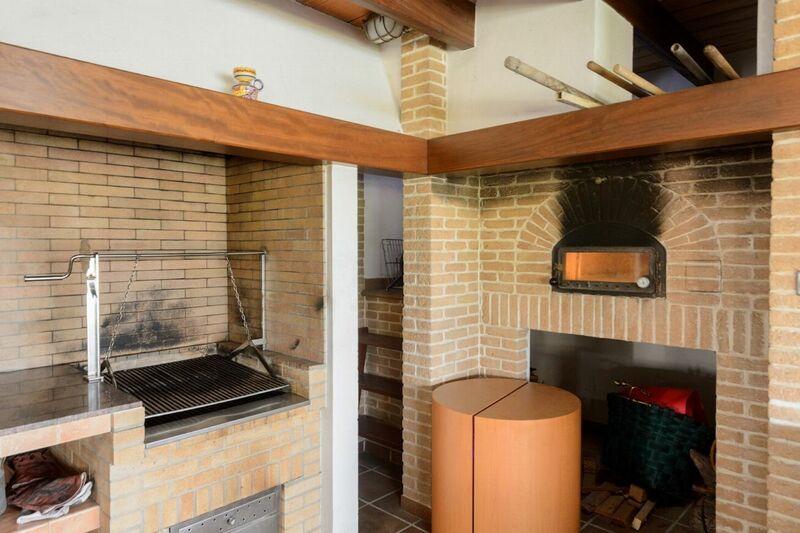 Adjacent to the kitchen, there is a large covered porch with BBQ (gas and coal), a gas installation - perfect for cooking paella, a wood-fired oven to prepare pizzas and bread and a large dining / lounge area, the perfect place to enjoy meals "al fresco" or simply relaxing overlooking the pool and the garden. 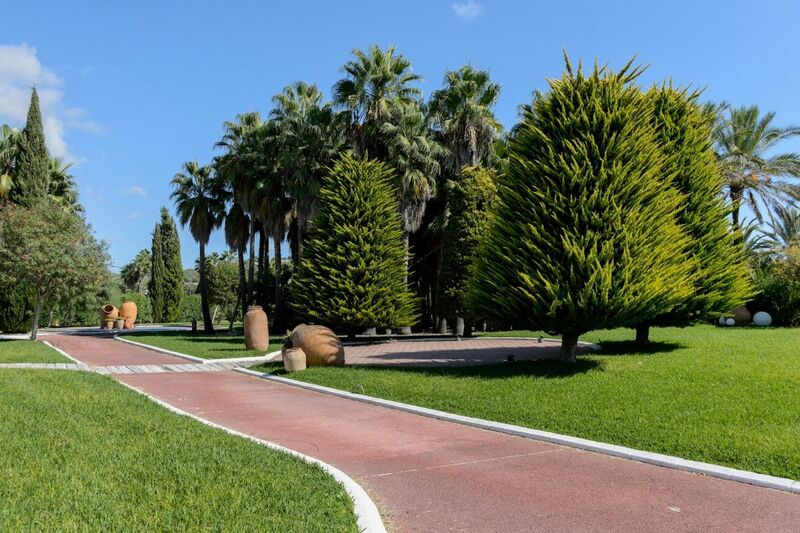 A private drive with a secured electric gate leads you to a covered outdoor parking area for several cars, there is also a garage for 2 cars. 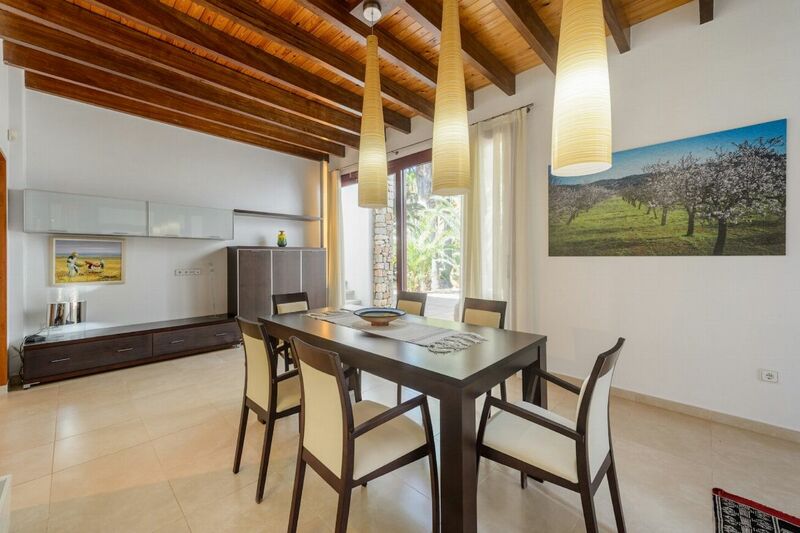 LIVING AREAS The main villa is built over 2 levels and is in immaculate condition with high quality furnishings and tasteful decoration. 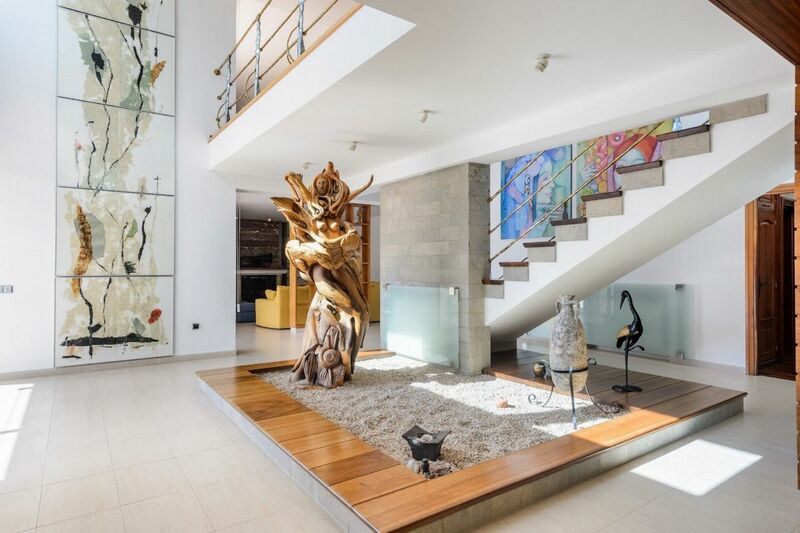 The entrance hall stands out for its spaciousness and style, on either side of the entrance hall there are 2 lounge areas (one with a fireplace), both have large comfortable sofas and flat screen TVs with satellite. 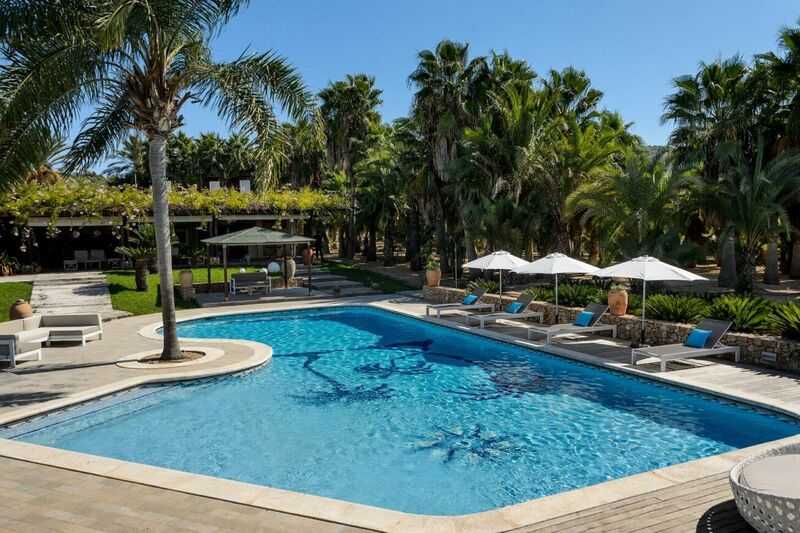 From the hall there is direct access to the garden and pool area. 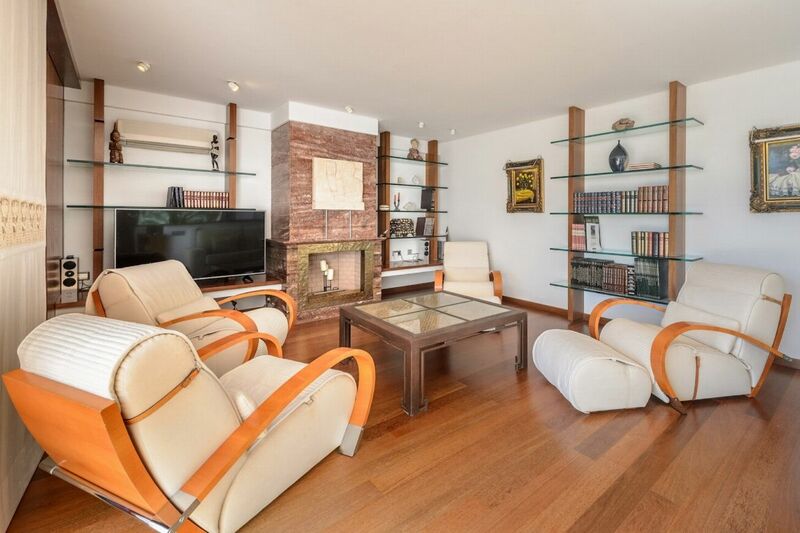 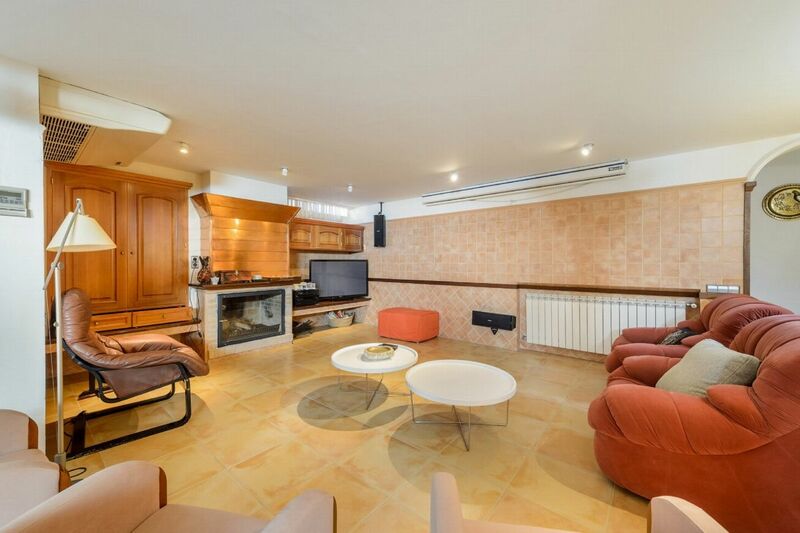 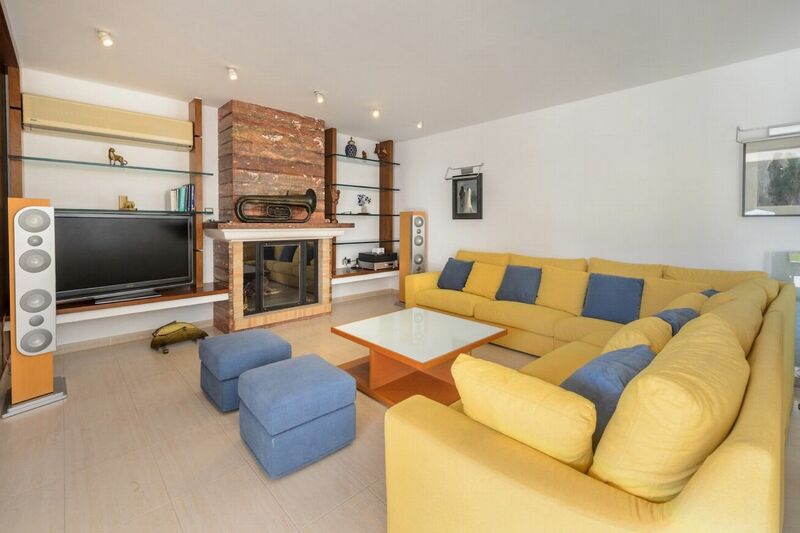 On the first floor there is another cosy living room with flat screen TV, fireplace and direct access to a large terrace. 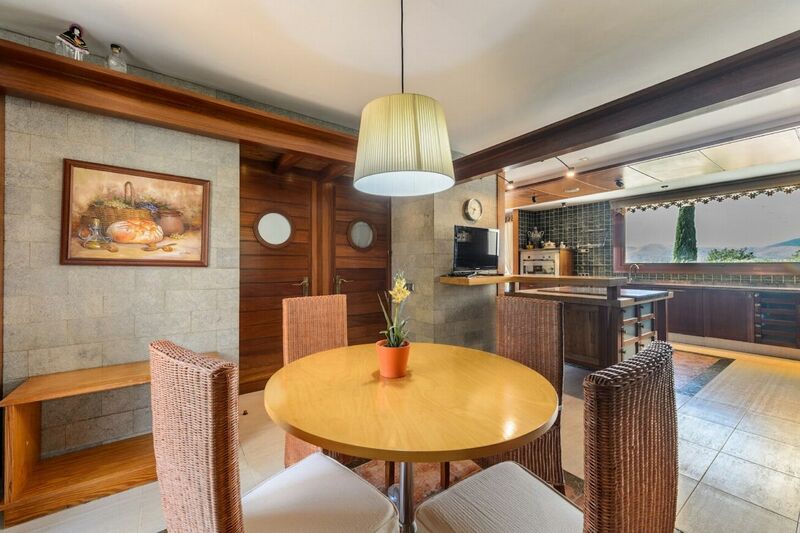 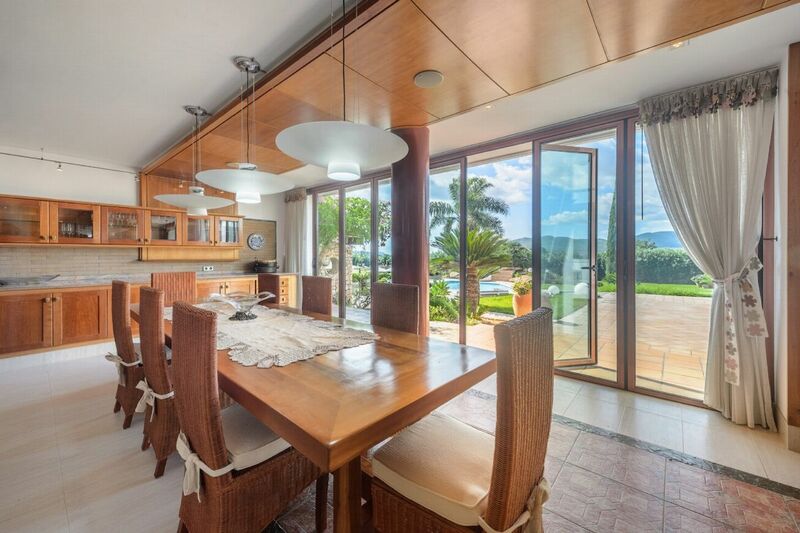 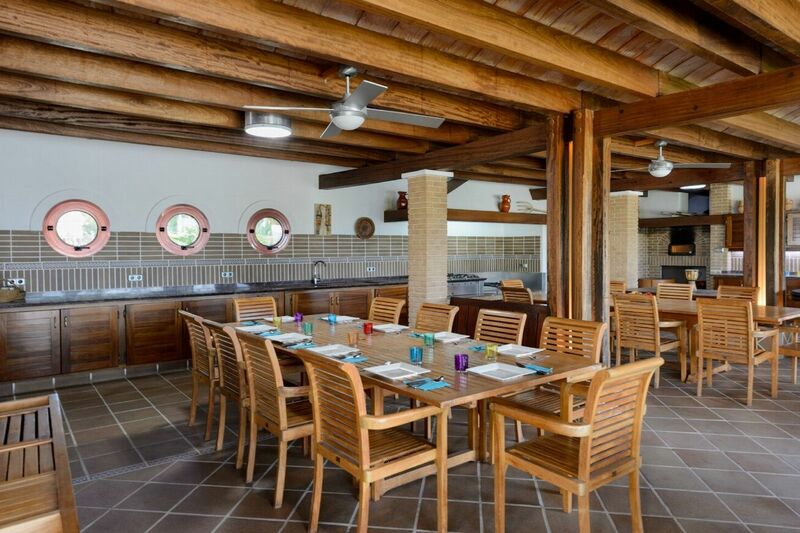 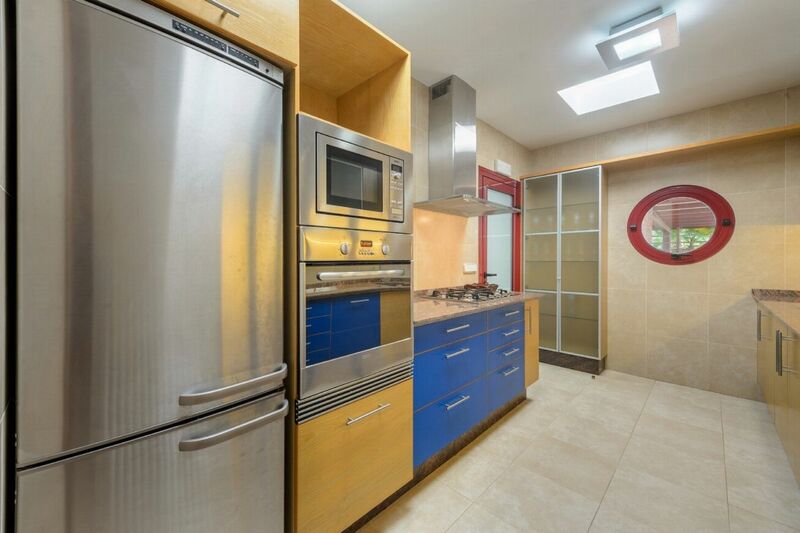 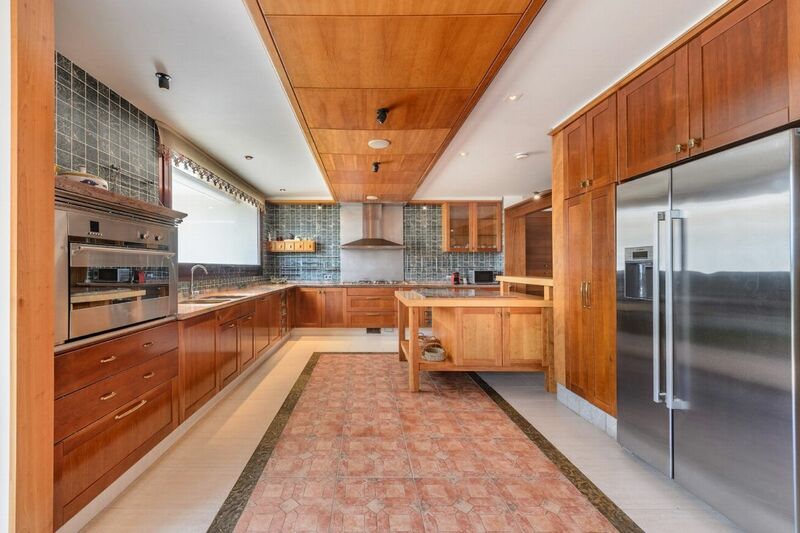 The villa is fitted with a fully equipped kitchen with top of the range modern appliances (refrigerator, freezer, gas hob, oven, microwave, toaster, Nespresso coffee machine, etc). 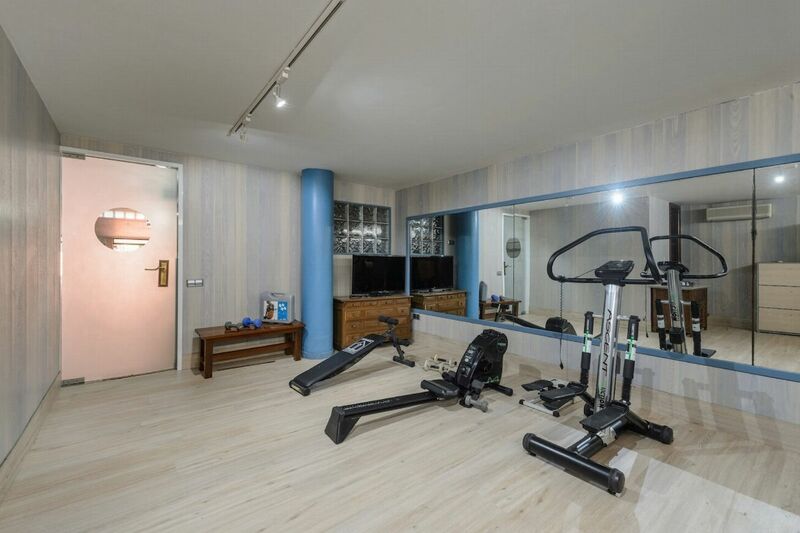 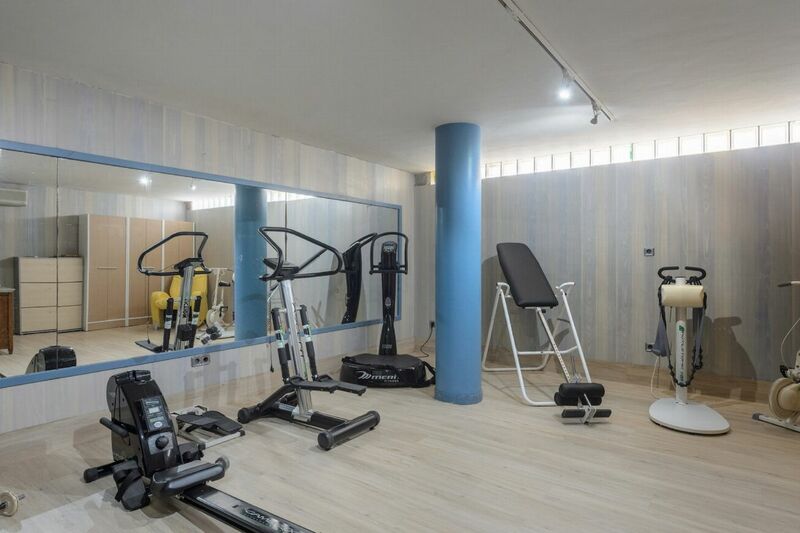 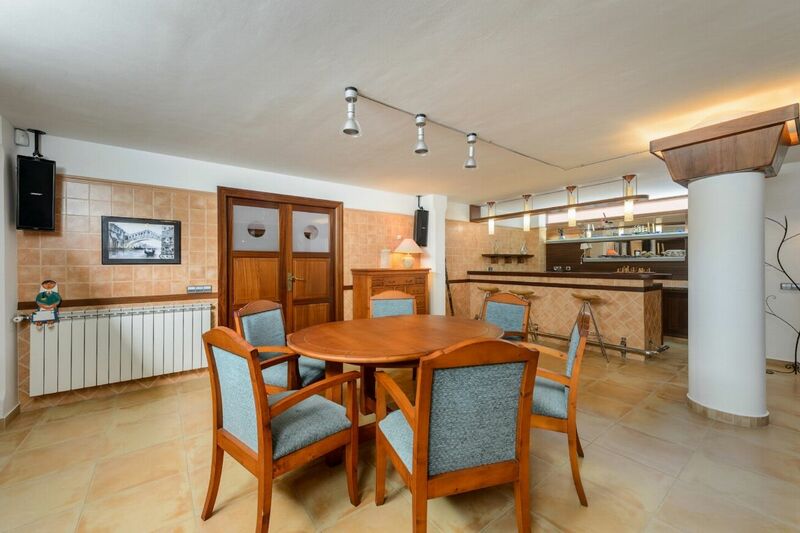 From the kitchen there is direct access to the basement area / entertainment area where you will find the games room with a bar, a table to play board or card games, a TV room, a gym, sauna and an office. 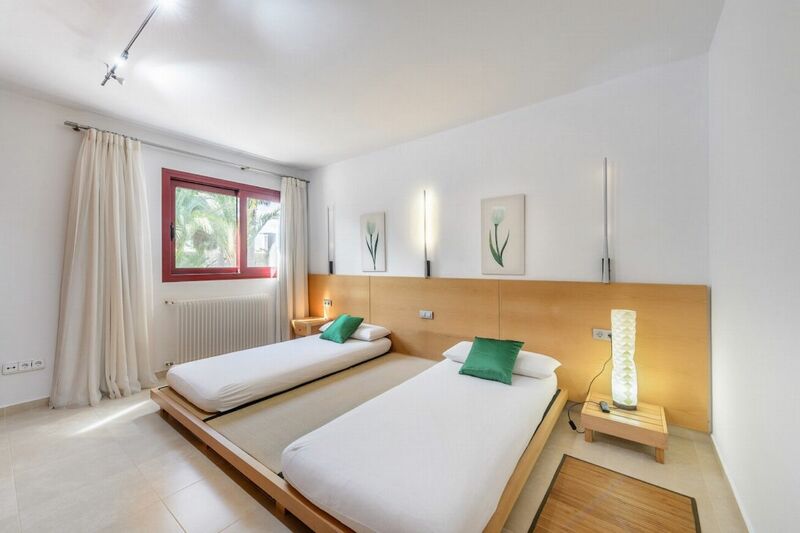 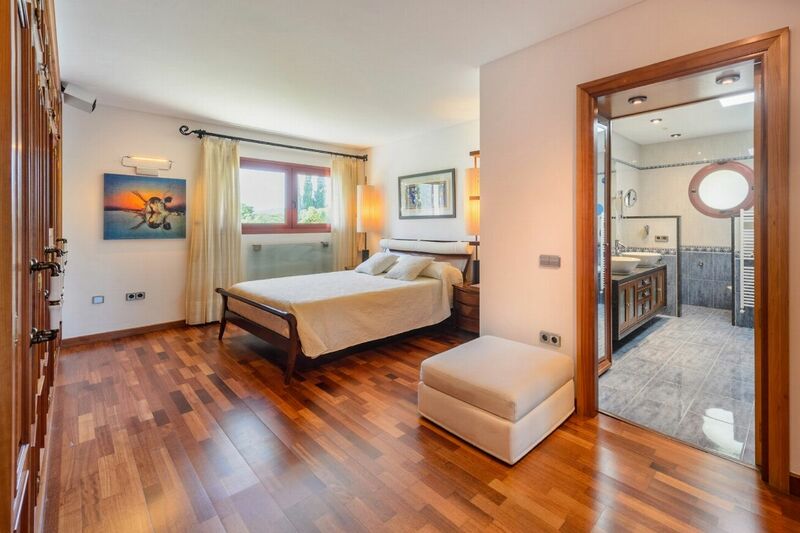 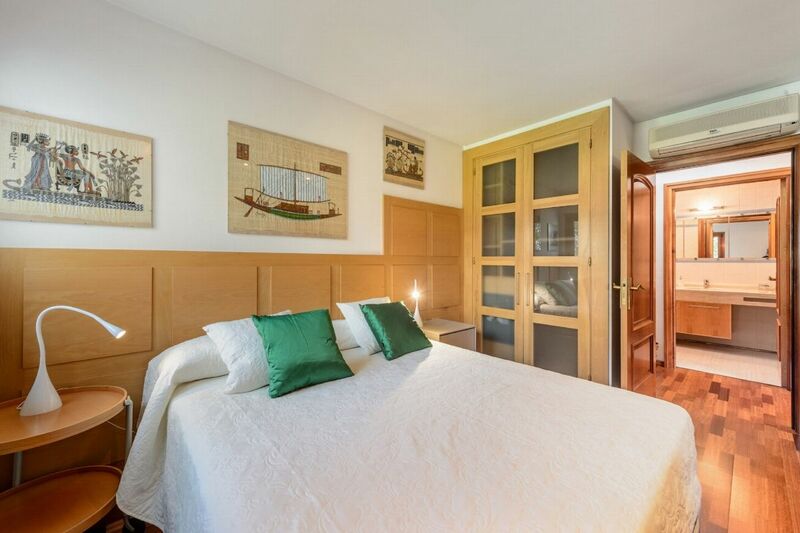 The villa has also got a laundry room with washing machine, clothes dryer, iron and ironing board as well as air conditioning, heating, Wi-Fi and alarm system. 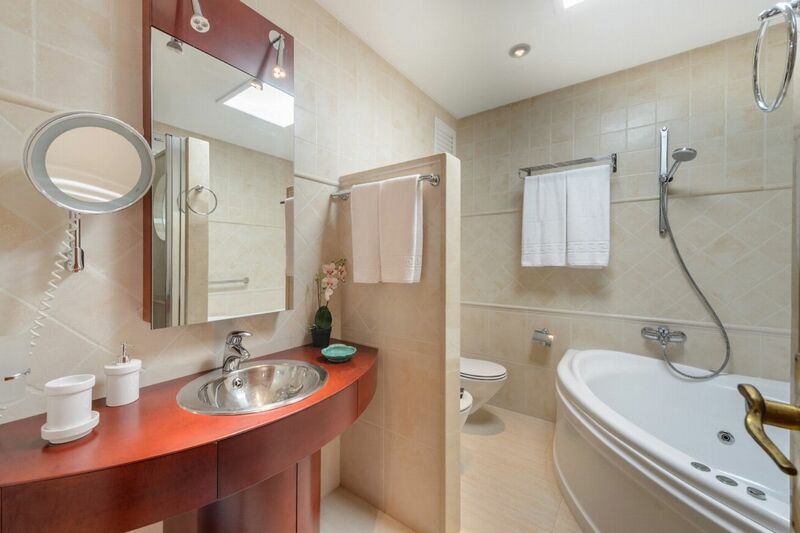 Main bedroom - double bed, en-suite bathroom with bathtub and walk-in shower. 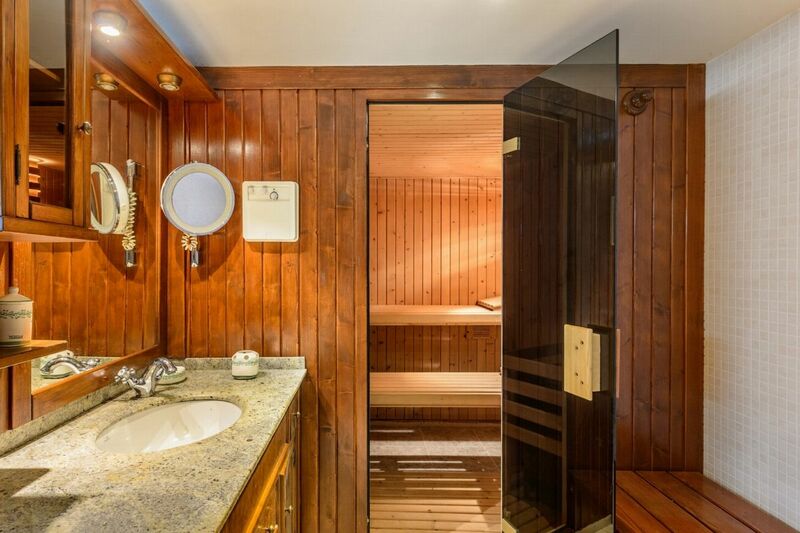 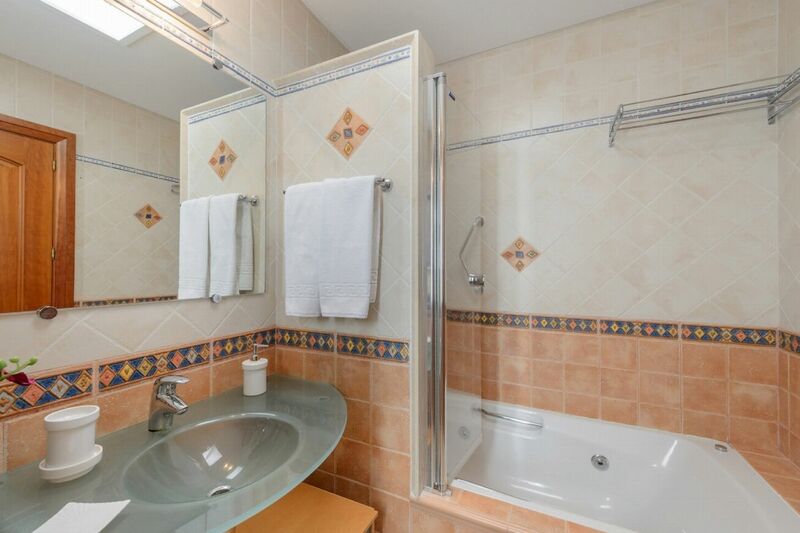 Double bed and a complete bathroom with bathtub and shower. 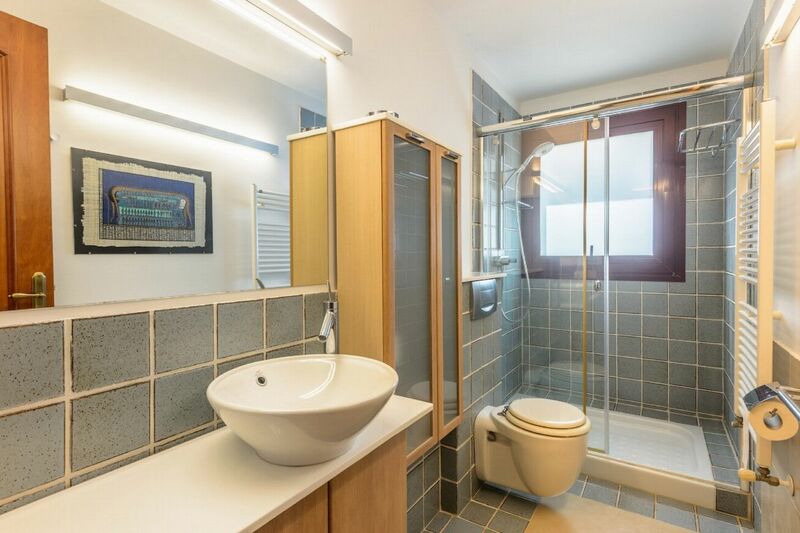 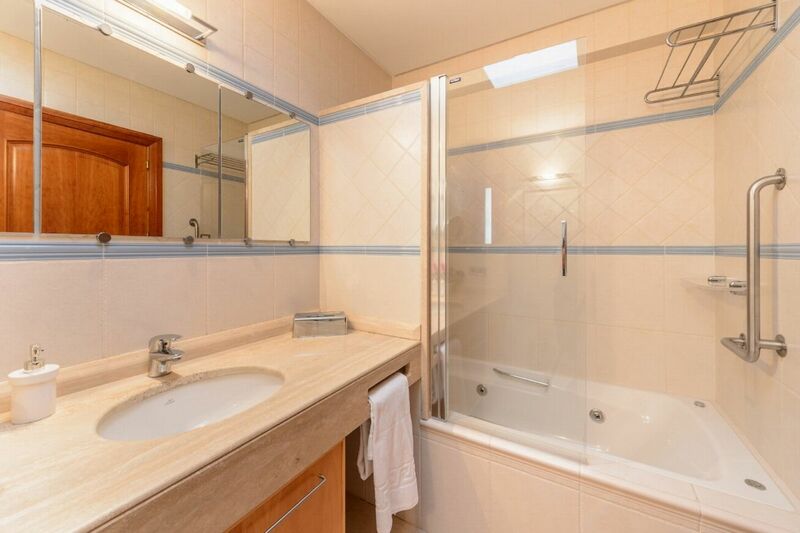 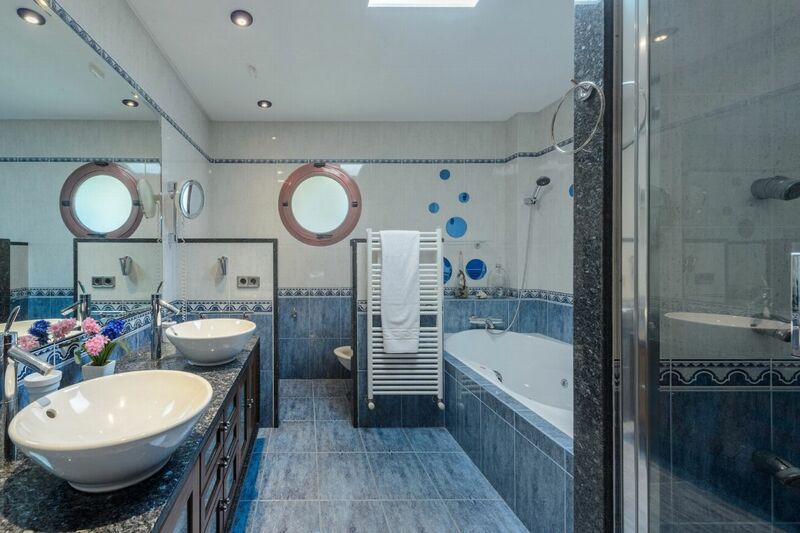 Double bed, en-suite bathroom with bathtub and shower.